Business-savvy brides are always on the go, go, go, especially during the holidays. The holiday circuit can be exhausting and be yet another activity the busy bride must do. Might look like this: Kiss family, socialize, stuff face, sleep through the turkey hang over (you know when tryptophan sets in), then onto the holiday rush of waking up at 4 AM and shopping for the best deal in town. Let’s see if we can squeeze some wedding planning into this extended weekend too, while we have the time. 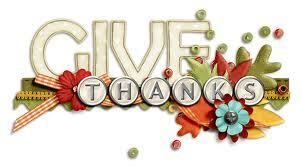 Dear (insert name), It’s that time of year where we reflect on what we are thankful for, and I am thankful for you. You’re unyielding support of me, especially while I am planning my wedding, is appreciated more than you know. In particular, I remember you (insert a specific instance where the individual supported you). I hope your Thanksgiving is filled with delicious food, good company and warm thoughts. Again, thank you for all you’ve done. With love, (insert your name). Aside from toting along a few items for dessert on turkey day, send those you can’t be with a edible thank you. Either send them a pie or fruit basket before or after Thanksgiving to remind them that you’re thinking of them on the day to give thanks for their support this year and every year of your marriage in the future. If you and your fiance are a bit more on the funny side of things and are feeling creative this Thanksgiving, go crazy with a fun Jib Jab Thanksgiving eCard. Take a pic of you and your fiance and put your faces in the spaces accordingly and send to family and friends for a hilarious thank you. You’re surely cause a laughing riot and be the topic of Thanksgiving dinners all over. My grandmother always says that nothing explains gratitude better than a written card. I couldn’t agree more. Although it takes more time, picking up a few thank you cards on Thanksgiving eve and filling them out as you watch the floats on TV on Thanksgiving will surely be a tender spot in the hearts of those receiving it. When you write your cards, explain how you’re taking your Thanksgiving morning to reflect on those who you are thankful for. So sweet. Wake up Turkey Day morning and start making the phone calls to the people most important to you. If the individual picks up the phone, start with “Happy Thanksgiving,” then small talk and show interest in what the person on the other end of the phone is doing on Thanksgiving. The conversation doesn’t have to be long, but can be tender nonetheless. If you receive voice mail, the brief but ever appreciated, “Hi, it’s (insert your name). Today, I am thankful for you. Happy Thanksgiving!” is perfect. Now that business-savvy brides have 5 different ways to give thanks, go for it! Pick your favorite one or take a blend of all. Which will you chose? Is there a method of thanks I’ve missed? Include it by writing in the comments below.